The progress of the case against George Zimmerman was particularly contentious. Defense attorneys frequently complained of questionable tactics by the State in their preparation of the case. Their complaints were realized to be justified when it was revealed that the prosecutors’s office, headed by Angela Corey, had additional digital information that had been recovered from Trayvon Martin’s phone which they had not turned over. That information is known as Brady information, basically any information that might help the defense, and it is mandatory that the prosecutors disclose such information. The Defense team had explicitly requested the information from Mr. Martin’s phone, and had been informed that there wasn’t any more. The reason that the information came to light was thanks to a whistleblower: Corey’s IT Director Ben Kruidbos. It came to the attention of Mr. Kruibdos that the information he had found, including numerous pictures and text messages, were not part of the packet that had been disclosed to the Defense. According to Mr. Kruibdos, he attempted to go through the proper channels within his office, including informing ASA Bernie de la Rionda, who handled prosecution case. Kruibdos was called to testify, and it became clear that Ms. Corey’s office deliberately withheld discovery information, was in violation of Brady, and did so to the detriment of the Defendant. The court indicated that sanctions could be possible after the trial. Mr. Kruibdos received notice that Ms. Corey had terminated him last week. Mr. Kruibdos, who is not an attorney, felt ethically obligated to do something after he found out about the subterfuge. He was also afraid of his own liability for his role and his knowledge of the Brady material. 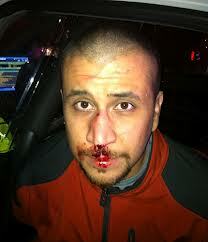 He hired an attorney and his attorney turned the information over to Zimmerman’s defense team. Fortunately, the harm was revealed in time, and it did not prevent the Defense from successfully defending Mr. Zimmerman, who was exonerated this past weekend by the jury. Even if you disagree with the verdict, the Defense should not be prevented from putting on their case do to subversion by the prosecutor’s office. If the State has to violate someone’s rights to convict them, you have to question their motives. This has looked like a political prosecution decision from the time the Governor brought in Ms. Corey to handle the case. Her statements since the trial have done nothing to dispel that concern. To summarize: 1. Angela Corey’s office withheld Brady material in a murder case, 2. One of her employees noticed the issue, and tried to go through channels to resolve it, 3. His complaints were ignored, and he felt legally obligated to disclose the information, 4. Angela Corey fired him, 5. The State lost the case, in spite of the subterfuge, 6. Now Corey’s office is going to get sued for wrongful termination by a whistleblower, and cost her taxpayers thousands of dollars. Of course, it’s not her money. It’s one more questionable, expensive decision by this elected official. I will have more thoughts on Zimmerman being exonerated, but wanted to get this out since it was breaking today. 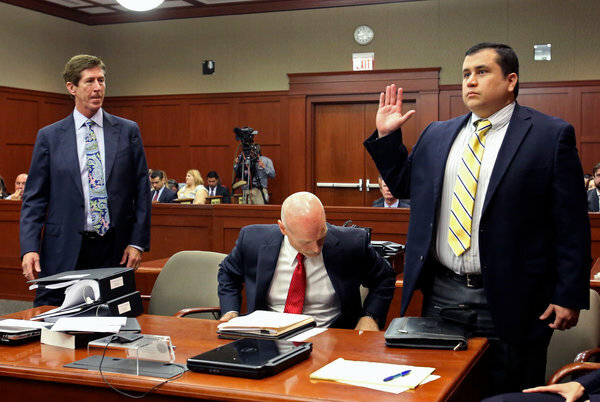 The jury is out to begin deliberations on George Zimmerman.